Octavian Maximus has already given up his life once for a love that left him empty. He isn’t about to give up his afterlife for a green-eyed, red-haired spitfire with no sense of self-preservation and a smile that could melt even his icy heart, especially since he’s so close to being given a second chance at living again. For a Son of Judgment, being offered life is the reason they were so willing to murder without remorse. Octavian is one of the best. He’s never failed to take out a Mark, until the night one got away and he let it, unsuspecting of the consequences of his mistake. When the Mark tracks him, hell bent on revenge, Octavian is ready for it. What he isn’t prepared for is Ryleigh jumping in to protect him or her death because of it. Ryleigh Masters has her own problems. Her father was laid off… again, bills are piling up and the rent is due. When she’s given the waitressing job at Final Judgment, it’s a dream come true, until she meets the owner’s son. Octavian makes it no secret that he wants her gone, but Ryleigh has already signed the contract and she needs this job. 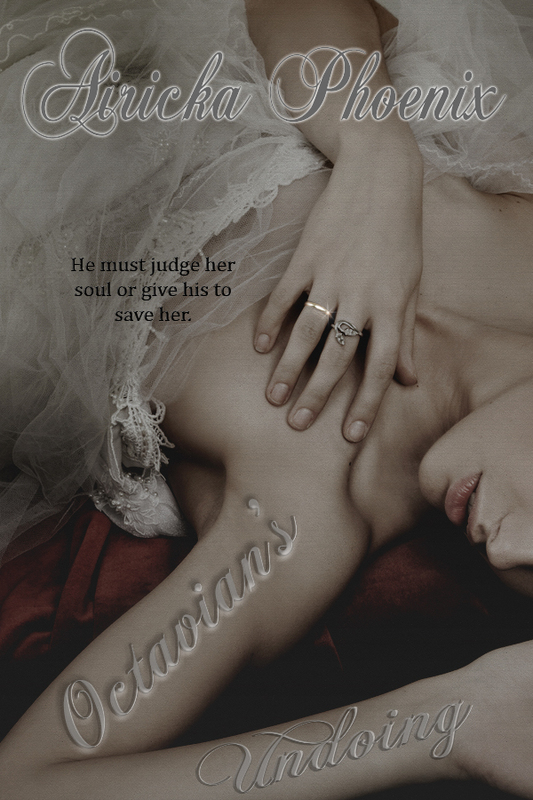 She’s willing to do whatever it takes to keep it, even put up with the unreturned feelings Octavian provokes in her. The night he’s attacked, the last thing she expected to happen was to die and wake up with Octavian’s knife at her throat and her life irrevocably changed. She didn’t know how it happened, how he vanished from the other side of the desk and magically appeared before her. She couldn’t fathom how his fingers found and wove themselves into her hair, twisting the copper curls until she was trapped between his hard body and the equally solid door. His angular face loomed dangerously close, bathing her tingling cheeks with the heat of his breath and the scent of mint. Eyes colder and harder than ice chips, yet dark and bottomless as the bottom of a well bore into hers, freezing her in their consuming depths. 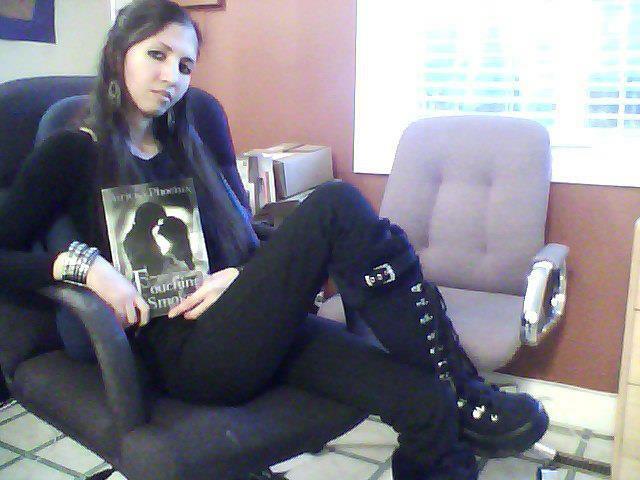 Airicka Phoenix is the author of the Best-Selling Touch Saga and Games of Fire, with short stories in Whispered Beginnings: A Clever Fiction Anthology and Midnight Surrender Anthology. When she's not hammering away at the keyboard, she can be found banishing pirates or crawling through the attic looking for lost treasure with her kids. She loves baking, gardening and reading. She also likes to travel and take pictures of everything she comes across. When asked, Airicka describes herself as a sarcastic basket case that has an unhealthy addiction to chocolate, old movies and really bad jokes. She loves to laugh, make friends and write. If she could have one wish granted, it would be to spend one day as a fly-on-the-wall inside Stephen King's mind. If she could have two wishes granted, she would ask for a castle dedicated entirely to her overwhelming collection of books.